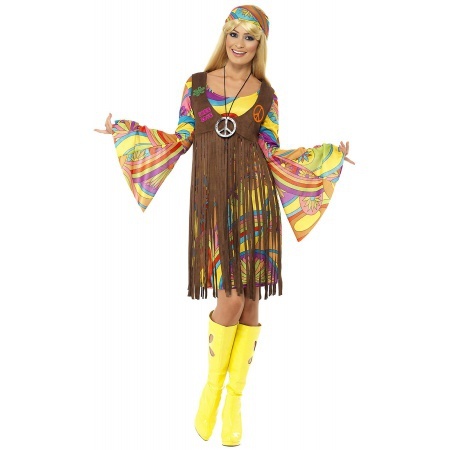 Our hippie costume for women includes a multicolored dress, matching headband and long fringe vest. 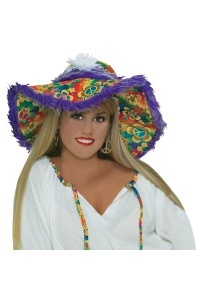 This hippie costume for women comes in adult sizes Large, Plus Size 1X, Medium, Small. The dress with this hippie costume features bell cut sleeves and a groovy multicolored print. 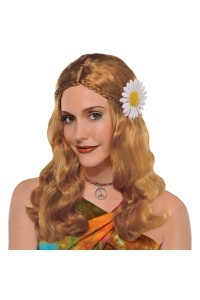 This hippie costume for women is perfect for a 1960's or 1970's costume party. 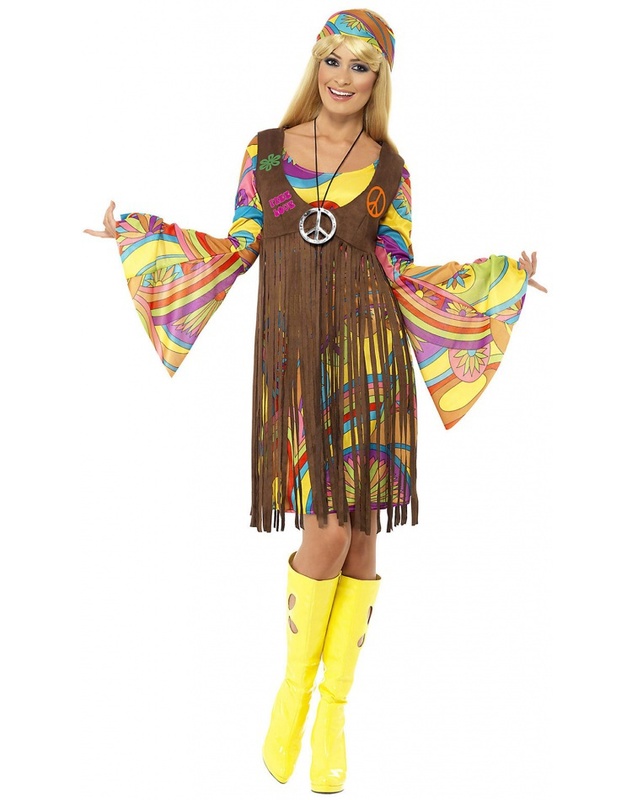 The peace symbol necklace is sold separately from this hippie costume for women. Yes! We have the yellow patent leather go go boots with flower cut-outs. The go go boots are sold separately.